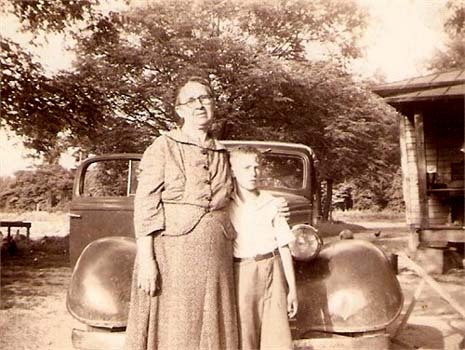 Birth*: Elijah S. Roe was born in October 1890 at Franklin Co., NC. He was the son of Winfield S. Roe and Elizabeth Tharrington. Death*: Winfield S. Roe died on 24 June 1915 at NC . Burial*: She was buried after 9 March 1981 at Cokesbury Methodist Church Cemetery, Vance Co., NC; Ella Rogers Hicks is buried under a double headstone next to her first husband, Leonard Moody HIcks in Cokesbury Methodist Church Cemetery, Vance Co., N.C.. Next to her is her second husband Alvin O. Faulkner with notation on his marker of "Husband of Ella Rogers Hicks". Marriage*: She married Francis Faulkner, son of Emanuel Faulkner and Elizabeth Dickerson, on 22 August 1804 at Granville Co., NC. [S179] Unknown volume, Vance Co., N.C. Death Certificate: for Charlie Howard Edwards, Register of Deeds Vance Co., NC Courthouse. Birth*: Eliza Jane Roper was born on 10 August 1827 at KY.
Death*: Eliza Jane Roper died on 12 November 1870 at Laclede Co., MO, at age 43 . Marriage*: Jacksie Ross married (?) Stanley circa 1928.